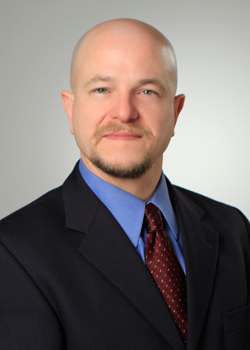 Cameron Groome, CEO & President, Avivagen Inc. In 2013, Cameron Groome was appointed as Chief Executive Officer and President of Avivagen, a small public company based in Ottawa. 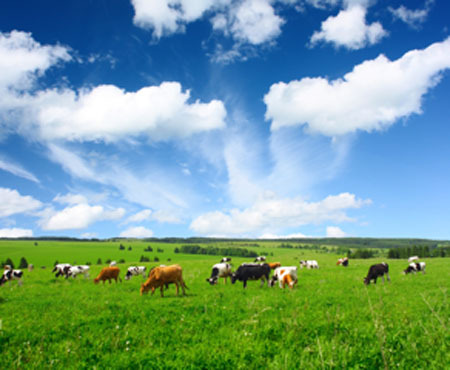 The company is now poised for change to come to Canadian animal health sciences, with their naturally-inspired feed additive OxC-beta™ Livestock (OxC-beta), and Groome hopes this technology will benefit humans too. Groome spent years as a life science analyst and an investment banker, where he learned the knack of translating science issues to business people and vice versa. The opportunities to make a difference in animal medicine, and to have a possible impact on human health, attracted him to his current position. OxC-beta, when added to animal feed, improves the immune system of farm and companion animals so they are better able to ward off disease. The company will soon be applying for government regulatory approval so this product will be available to Canadian feed manufacturers as a way to reduce the over-use of antibiotics. OxC-beta has been tested against many strains of bacteria, and has no direct bacteriostatic properties; it is not an antibiotic. “What we are doing is enhancing the ability of the immune system to recognize and respond to a bacterial challenge if and when it occurs,” Groome explained. We don’t throw our children in a manure pile, feed them antibiotics until they are twelve years old and say, ‘Best of luck!’ And we shouldn’t be doing it for livestock either. The genesis of the research for Avivagen’s feed supplement OxC-beta began in the early eighties. Back then, the originators were National Research Council chemists who did some seminal work on the fruit and vegetable pigments called carotenoids. During that period, a study gave smokers supplements of a carotenoid (beta-carotene) hoping to see less cancer in the subjects, but researchers saw almost the opposite. What the chemists recognized was that when carotenoids are intact, they act as anti-oxidants, and anti-oxidants aren’t always beneficial. 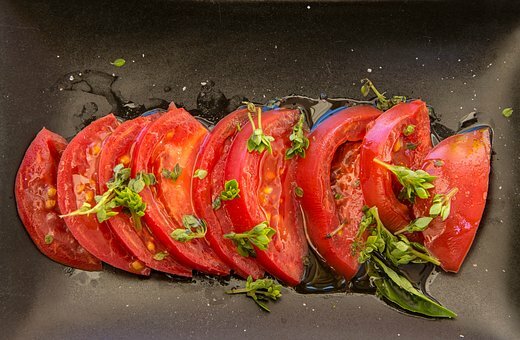 The team at Avivagen has explained the “why” of that; they know that when tomatoes are cooked, more of the lycopene is transformed into its oxidized form. It’s the oxidized form of carotenoids such as lycopene and beta-carotene that provide more health benefits. And so came about the development of OxC-beta (fully-oxidized beta-carotene). Adding a mere 2 grams of OxC-beta to 1000 kilograms of feed, as opposed to hundreds of grams to kilograms of narrow or broad spectrum antibiotics, can effectively promote animal health and wellness. Livestock that have been fed the supplement show signs of improved productivity, faster growth, and more efficient feeding. But the most important benefit is that OxC-beta boosts the immune system naturally to combat infections, thereby reducing illnesses and deaths. 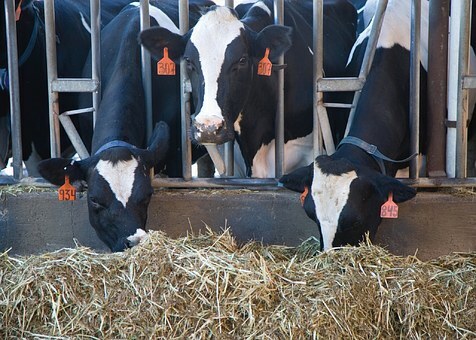 Health Canada is interested in creating a pathway to enable registration of this kind of feed supplement in Canada, and Groome hopes this will happen quickly to help Canadian livestock producers. Groome described how resistant bacteria can hitch a ride off farms on boots, truck tires, water run-off, dust, meat—and breed out amongst the human population elsewhere. But change is coming. It may have begun with the World Health Organization’s concern about the increase in antibiotic-resistant pathogens, but the cry for change was taken up by restaurateurs and retailers wanting to meet the public demand for healthier food choices. And now consumers are more aware about drug-resistant bacteria and how it can affect their families. Livestock that have been fed the supplement show signs of improved productivity, faster growth, and more efficient feeding. “If you’re feeding antibiotics to animals for prophylaxis, it’s a scientific certainty you are going to create resistance in the bacterial population. You can debate the health importance of the resistance, but you can’t debate the emergence of the resistance,” said Groome. While OxC-beta is protected by multiple patents, Groome insisted his company does not want to unfairly monopolize this discovery. “We want to make this available in a way so it’s absolutely to the economic advantage of the farmer to do the right thing and use it,” he said. The company had to go overseas to do their prove-ups by necessity, but Groome would love nothing more than to get the product on the market for Canadian producers. So far, Avivagen’s interactions have been mostly with larger feed manufacturers in Asia, where farmers found that using the OxC-beta product showed a net positive economic benefit over what they were doing previously, including use of multiple antibiotics in their feeds. Avivagen Inc. and UNAHCO, Inc. recently announced the registration by UNAHCO of Livestock as an imported livestock feed additive, authorizing its use in all species in the Philippines. Find more information on www.Avivagen.com.